Julia literally felt at home at the 2012 Olympics. 8th at 5,000 and 10,000m in the 2012 Olympic Games. 4th at 5,000m in the 2012 European Championships. Track and field is fantastic but my initial love and feeling for the sport was being out in nature. 3. Ruislip Woods | I grew up in West London, so I did a lot of my running in Ruislip Woods. And whenever I return home, one of the first things I do is go and run there. 2. Hampstead Heath | I also have really fond memories of running on Hampstead Heath, competing there and winning the South of England Championship for the first time. There’s this great hill and you’ve got this massive South of England Championships where everyone starts at the bottom of the hill and charges up. 1. The Parks | My number one general area is Richmond Park, Wimbledon Common, Bushy Park, Home Park [Hampton Court Park]. I try to combine all the parks in one run. Every time I do it I feel really blessed that I have such a fantastic place to run. And the surface is really good underfoot so you can do it at quite a pace. 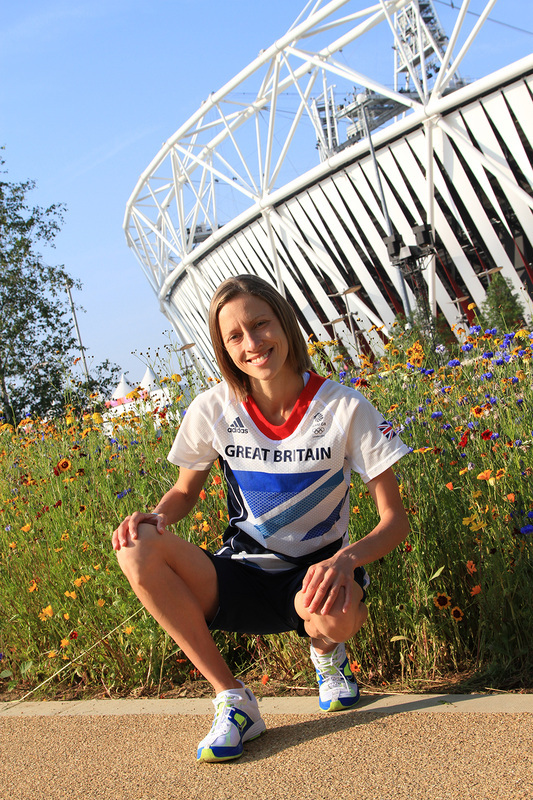 A born and bred Londoner Julia shares her fondest memories of running in her hometown—everything from a double top-eight finish at the 2012 Games to the exhilaration of jogging through Richmond Park. You really stamped your mark on world distance running at the 2012 London Olympics, finishing eighth in both the 5,000m and 10,000m (Julia and teammate Jo Pavey were the first non-Africans in both races), how did you enjoy your first Olympics? It was a phenomenal experience being in front of a home crowd. It was my first major championship really so it was incredibly special. But it was also very intense. I was racing three times within eight days and covering 50 laps of the track in total. I’d spent the last year building towards the Olympic Games, always with the aim of peaking at the right time in August. So I got to the Olympic Village knowing I was 100 per cent ready to go. It was great having Jo Pavey as company because she had been there and done that before. I was also relatively unknown so there were no expectations; I didn’t feel any weight on my shoulders. In fact they didn’t introduce me to the crowd. They introduced Jo because she’s a well-known name and when everyone cheered for Jo I took on board some of that energy and sound. I was raring to go. With such massive support, was it tricky keeping a clear head to focus on that first race? The 10,000m is about 30 minutes of running so you’ve got to control your emotions and be sensible about it. It’s a long race. It was a matter of settling in. At times I thought, “Wow this is the Olympic Games and listen to that noise.” And at other times I felt, “Well this is just another race.” Fortunately it all went incredibly well, I had a great run and had a Mexican wave following me around the track. After finishing the 10k it was lovely to do that lap with Jo thanking the crowd for their immense support. Then just a few days later you had the 5k. How did you recovery for that? After the 10k, running 25 laps, you always come off it a little bit sore. So I spent a lot of time in the medical centre with the British team trying to sort out my calves. It was great to have the opportunity to double up and experience the stadium as much as possible. The noise of that 5k heat when I was kind of in the lead at the last 100 that was the loudest I heard in the stadium. It was that deafening, ear-ringing sound. You feel a surge of energy going through you when you hear it. I hope I’ll experience it again one day. Your Olympics results surprised many, did you surprise yourself? Well, I was in Melbourne on New Year’s Day  and I watched the sunrise and knew that 2012 would be a very special year. At that point I wasn’t thinking top eight because you’ve got to do the systematic steps to get there. First, it’s running the qualifying time, then it’s qualifying, and then it’s getting to the start line injury free. If you can get to that start line then things become possible. Rather than jumping three steps you’ve got to do it step-by-step. That’s exactly what I did with the help of my team. We just ticked the boxes and moved onto the next step. Before going in to the Games I said to my close team “sub-31 [10,000m] and top eight that’s the aim” [she ran 30:55.63]. I’ve learnt over the years to understand and know my body. And, from the training he’s set me, my coach is very good at assessing how fit I am. So although it’s been a surprise for many people, it wasn’t unexpected amongst my close circle. It’s what we’ve been planning and it was just nice to execute it according to the plan. >> For the rest of this interview, please check out our book!